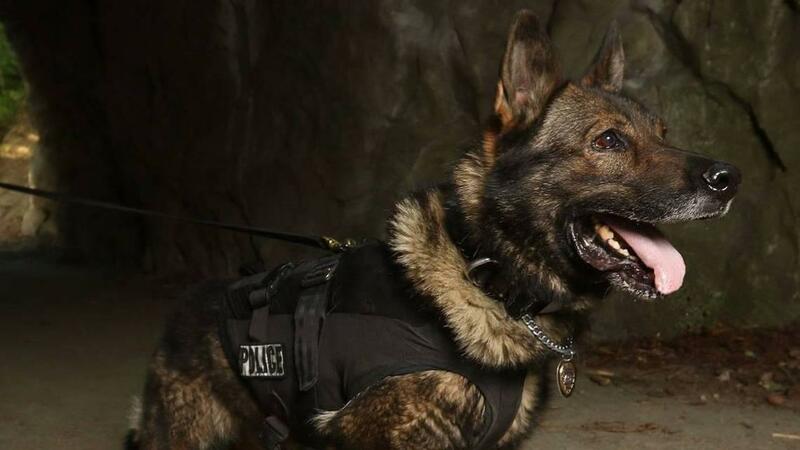 UPDATED: Mon., Sept. 3, 2018, 9:59 a.m.
BELLINGHAM – Bellingham Police K-9 officer Danek was left with an injured leg and a limp after helping apprehend a 40-year-old man suspected of trying to force his way into a house in a domestic violence incident early Friday morning in the Roosevelt Neighborhood. Jon Brendon Kindy was booked into Whatcom County Jail on suspicion of third-degree malicious mischief, residential burglary, second-degree criminal trespassing, resisting arrest and harming a police dog. Police were called at 1:12 a.m. to the 2400 block of Toledo on reports that Kindy, who did not live there, broke a window, was pounding on the walls and demanded to be let inside, Lt. Claudia Murphy said. Kindy left on foot before officers arrived, Murphy said, and Danek helped find him in a fenced yard nearby. Kindy refused to comply with officers when they told him he was under arrest, and he reportedly stood up, armed himself with a bottle and walked away. Danek gave chase and Kindy responded by attempting to strangle the dog and hitting it with his fists, Murphy said. When Kindy again refused to comply, officers used a taser, dropping Kindy to the ground and stopping the assault on Danek. Police took him into custody in the 2400 block of St. Paul Street. Kindy suffered minor injuries and was treated by medics at the scene, Murphy said. Danek will be evaluated by a veterinarian to determine the extent of the leg injury. Published: Sept. 3, 2018, 9:30 a.m. Updated: Sept. 3, 2018, 9:59 a.m.